As one of those who are the “dead”, this was beautifully written. My compliments on codifying briefly what has gone on. And, on the rare occasion I show up at a convention, I’m a “costumer”, thank you very much. 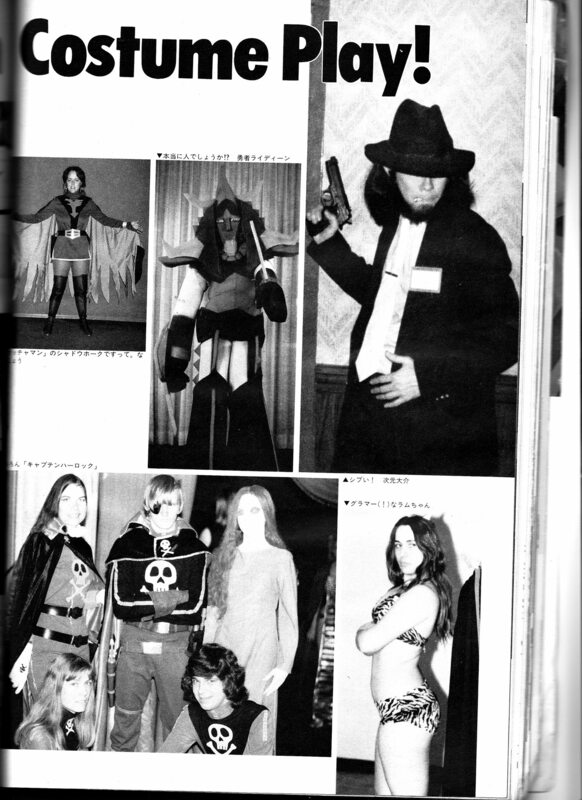 Because I was there and doing it while the current generation of cosplayer’s parents probably hadn’t yet met. I’m proud to be a “costumer”, and am definitely not a “cosplayer”. And get out of my sewing room. Compliments on this excellent summary of fannish history. 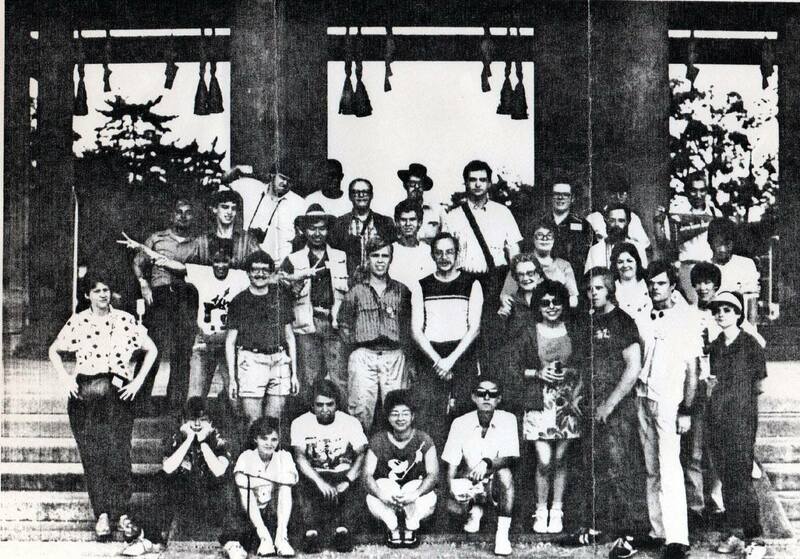 I remember NOT seeing the 1984 Worldcon masquerade. I was assigned to help with site selection vote counting, and as much time as we were taking, we kept hearing the masquerade was still in progress. Vote counting ran longer so I missed the whole thing. Fortunately, there is the video. Sounds like someone’s upset that costuming is more accessible than ever before. No. Someone is upset at being shunted aside & re-branded by people doing something distinctly different than what she does. Can you give an example of what cosplayers are doing now is different than what costumers have been doing? I don’t think there is any. The best article I’ve ever seen on the subject of the “cosplay” term and how it has grown to overtake the hobby and why some of us aren’t thrilled about it. Even those who prefer the term “cosplay” to “costuming” must admit, the piece is well written and researched, and it is the most complete history of this topic ever offered. Well done. As a Costume Technologist, with a Master of Fine Arts in Costume Technologies, I find this a very interesting article. I have friends who self-identify as cosplayers, but never do Anime. Disney characters, Marvel Universe, Sci-fi, but never Anime specific. I never knew the history of the name cosplay. 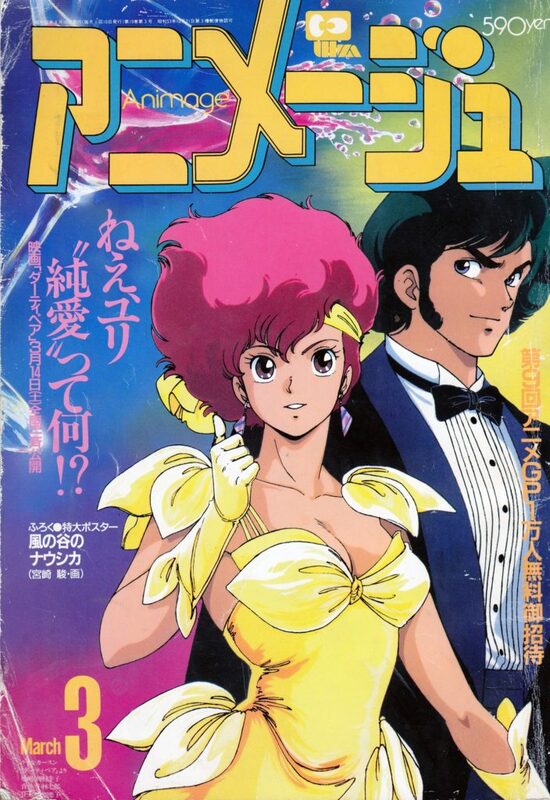 I also get students who take the Costume Practicum (lab class, no lecture) at the University where I work, who are cosplayers, and what they really want is help and advice on how the make this really complicated Anime outfit from a slightly fuzzy screen shot. What they don’t want to do is take the *actual* Costume Technology classes that would teach them the basis of sewing and draping that would make their hobby an easier proposition. They see those TV shows about cosplay costume competitions and think it is all easy. (Stretch fabric is not easy!) I am always happy to teach someone when they want to learn in a class setting, but I get tired of the “can you just show me how to (insert thing I learned in 3 years of grad school)”. You know, the fun thing about language is that it evolves. Costuming never stopped being costuming just because at some point people started calling it cosplay. The supportive, enthusiastic atmosphere within the “early” costuming community you so glowingly described is experienced by young cosplayers at anime and comic book conventions all over the world. Sure, having the internet around has made things more accessible, but hasn’t cheapened anything or made people any less passionate about the time and money they’ve invested in their creations. I entered costuming as a fifteen year old cosplayer at Anime Expo in the early 2000s. I found it to be a welcoming and inclusive space. While I’ve not been immune to the cattiness and snark that tends to accompany the dark corners of any hobby, I never encountered any of the kind of gatekeeping that you are displaying in this post simply because people have the temerity to call costuming by a different name. Costuming itself really hasn’t changed. What’s popular may have, sure, but at its heart we’re all just nerdy people who like sewing impractical things. I remember the growth of costuming. You’re correct there’s a distinction between the two, and no need for animosity. They’re different presentations of art. I should scan in some of my old prints from the 80s, of Jessica Rabbit being guarded by USCM Marines, and Judge Dredd escorting Catwoman. Call me a grouchy old man, but the word Cosplay was adapted from the Anime costumers in Japan. If your not a character from Japanese culture (pop or traditional) you’re not a cosplayer, you’re a costumer. As part of the “young” you describe – and also my own creator of anything I cosplay, I see your point, but please also see ours. We (my generation’s cosplay community) have different distinctions in our works. There are the cosplayers who curate – ie. buy everything or commission; and the cosplayers who create – those who make 90% or more of their costume (because really – those wigs are ridiculous and I just want to sew). There are armorworkers, leatherworkers, seamsters, prop makers, wigworkers, and a host of other specialties – because we’ve decided to master our chosen craft. While the history is interesting, to deride the works of the younger generation simply because we have multiple ways to do the same thing is unfair to the creators. We hone our skill and talents just as much as the “dead” and run into this issue often in convention settings. I can’t tell you how many times I’ve been asked who I commissioned from by those who are older and more established in the field, and frankly it’s both insulting and complimenting – like I’m too young to do that well, but I could never hope for that level of skill even though I’m the same age as the “dead” when they were at my level. Cosplay is inclusive, just as the art should be. It’s about bringing together those from all over and showing your skills in which ever way you wish to present them. It has expanded the art of costuming beyond what it could ever be – creating a social environment that all can appreciate and involve themselves. It’s about creating new ways of passing on the art and teaching others – like many of the younger creators do. We meet up 2-4 times a month to work on our cosplays together, using each others given expertise to better ourselves. We are collaborative, creative, and dedicated. We intend to pass on the art – but like all things, in an evolving way. It’s interesting to read that you think I disparage those who use the term “cosplay”. I don’t think I ever said that. The cosplay makers are producing some absolutely stunning work. Costuming is inclusive. It always has been. It’s one of the reasons we were drawn to it. We worked to expand that community, and inclusiveness. We wanted to be sure ALL skill levels would feel comfortable competing on stage, because like some of the younger set’s work, some of ours was also very intimidating to the newer costumers. The term “cosplay” is simply rebranding what we have been doing for 50 years. 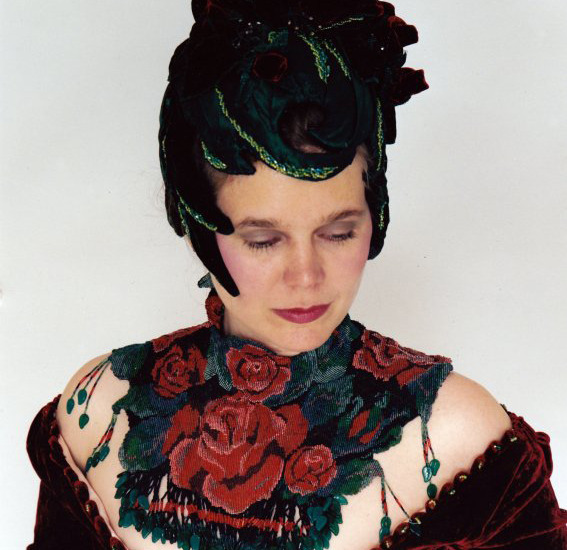 We started the International Costumer’s Guild to further the costuming community. There are still chapters all over the country. It was always all about community. We had already expanded the art. There is at least one coffee table book to prove that. The re-branding of costuming came from someone not understanding what he was seeing, and trying to describe it, with limited success. None of us thought of what we did as “playing”. We were makers, and we stayed in character just like you do, but “play” does not feel right to us. The issue with switching to the term “cosplay”is that the definition is all over the place. Sometimes its just anime. Sometimes it’s those that buy costumes. Sometimes it’s makers too. The old school folks were drawn to the art because they wanted to create. Conflating makers and models is a problem for us. We never allowed purchased costumes in competition. In fact we added workmanship to our competitions to encourage the art of making. My intent was to make a statement about identity. Just as you see yourselves as cosplayers, we see ourselves as costumers. Our identity is as firmly set as yours. Disparaged? No way. Skill is skill. Talent is talent.